As the weather begins to warm up I start to transition from tea to infused water as my main go to. I absolutely love infused water so I thought it would be very fitting to show you guys my 5 favourite infused water recipes. All recipes are ones I use and enjoy, and are for 1 litre water bottles. Generally I’ll pack the fruit in the bottle and continue to refill it throughout the day. For super flavoruful water I recommend letting it sit for an hour or 2, or overnight, for maximum infusion. Lemon and Cucumber water is an absolute classic and the recipe I drink the most often. A helpful tip for tasty water that you can continue to refill throughout the day is to cut off half of the lemon rind. I found that towards the end of the day my water could taste pretty rindy, which isn’t the tastiest. So I started cutting the lemon (or any other citrus fruit) in half, placing the cut side down, and skimming pieces of the rind off of the lemon from top to bottom 4 times. This infusion packs quite the punch of refreshing awesomeness. Mix a lime, 3 strawberries, 6 slices of cucumber and a sprig of mint. This is one of my faves! It’s super tasty and fruity making the combination perfect for summer. 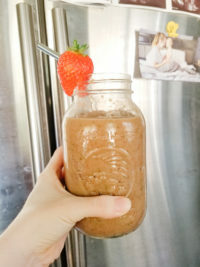 Use 1 kiwi and 3 strawberries. Another super tasty combination. This tropical infusion is great for the beach. Use half an orange, half a lemon, and half a lime. This tasty combination is sure to get the taste buds going. Mix half an orange with a small handful of blueberries for a yummy infusion. I recommend muddling the blueberries to really let their flavour come out in the water. There ya have it, 5 tasty infused water recipes that will keep you hydrated all summer long. 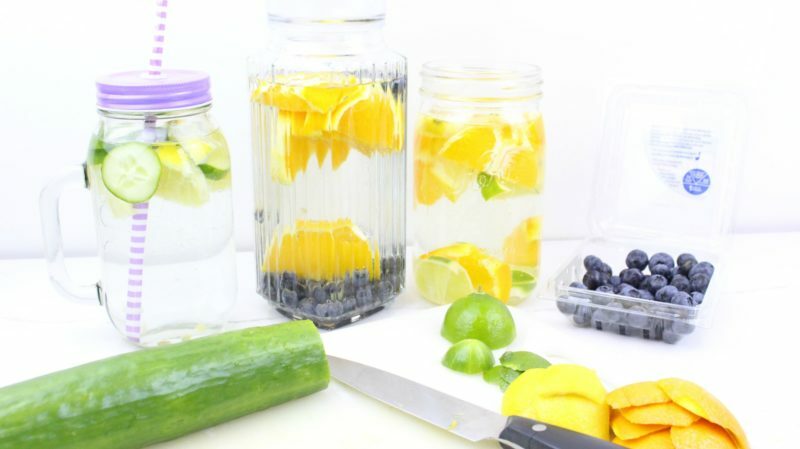 Are you a big infused water fan? 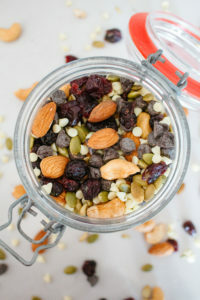 Do you have a favourite recipe I haven’t listed? Please share it below, I’d love to try it! I love these! I will definitely be trying these out this Summer! Infused water is so great in the warm weather! I typically stick to the classic cucumber/lemon but want to try some of the others for sure! Oh! I’m so excited to try these! I love infused water. These all sound so good! I will need to try these! All of these sound so yummy! Yumm these sound great! I am going to do a pool party in July, so I will have to give these a try! These are wonderful ideas! We made lemon/mint infused water for a work event last week. It was so good!